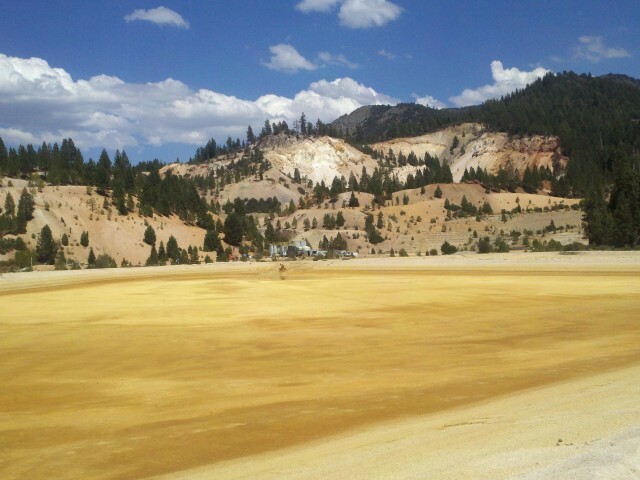 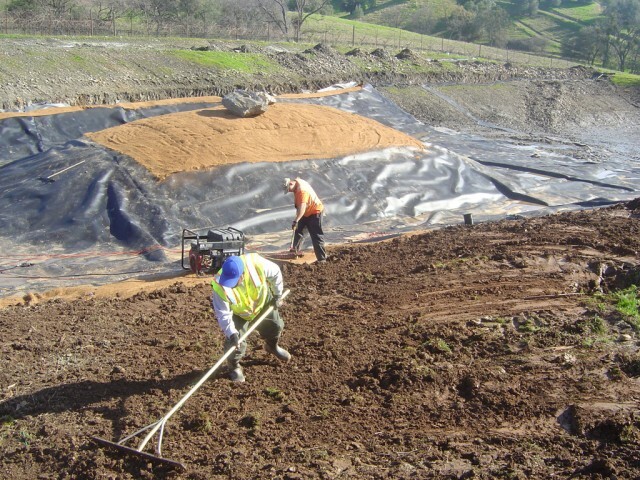 For water management, use the diversity, technology and experience of Thunder Mountain Enterprises, Inc. (TME) to your advantage. 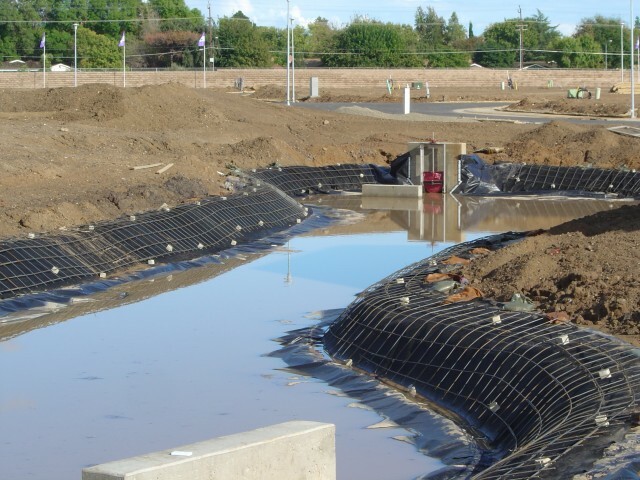 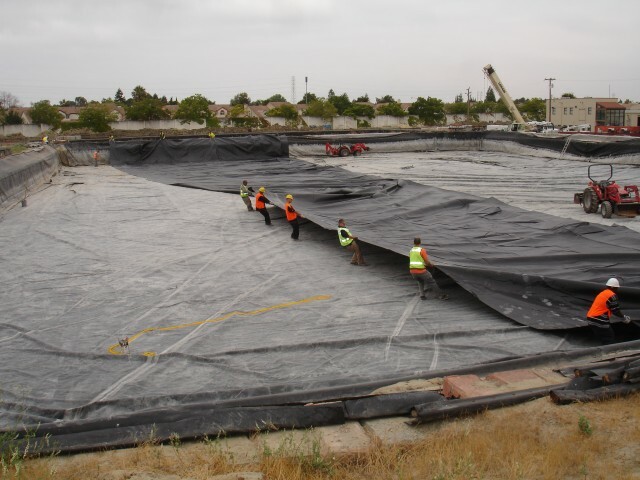 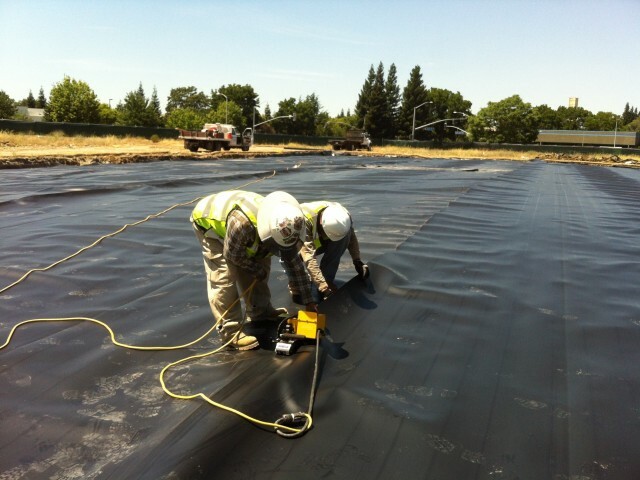 Unlike most landscape companies and garden pond specialists, TME‘s water containment experience was developed with large commercial and industrial ponds, used primarily for storage and sediment control. 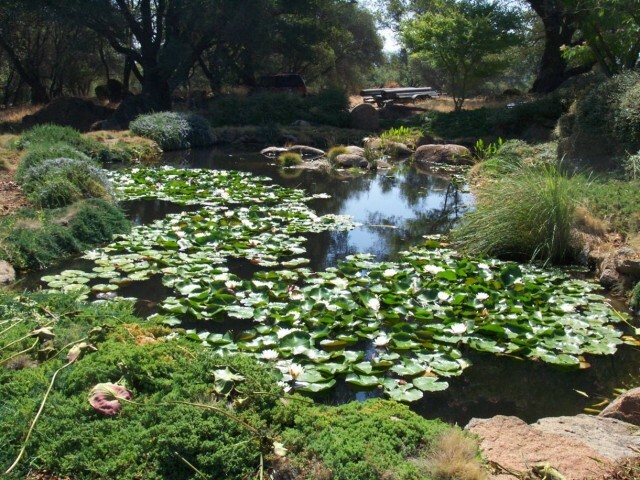 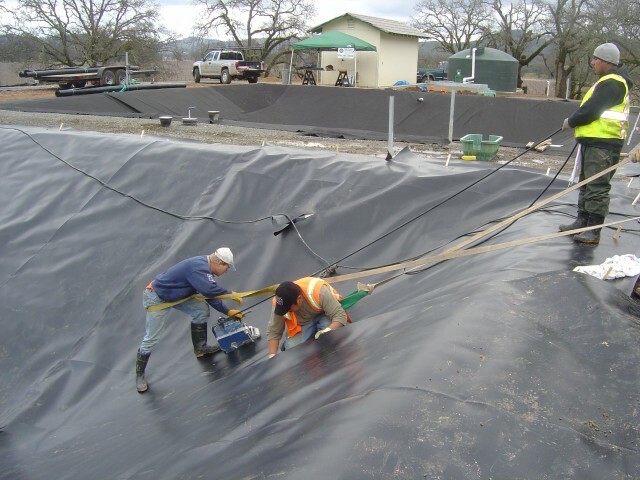 We apply our industrial know how and commercial quality materials to even the smallest private ponds at your home, ranch or vineyard. 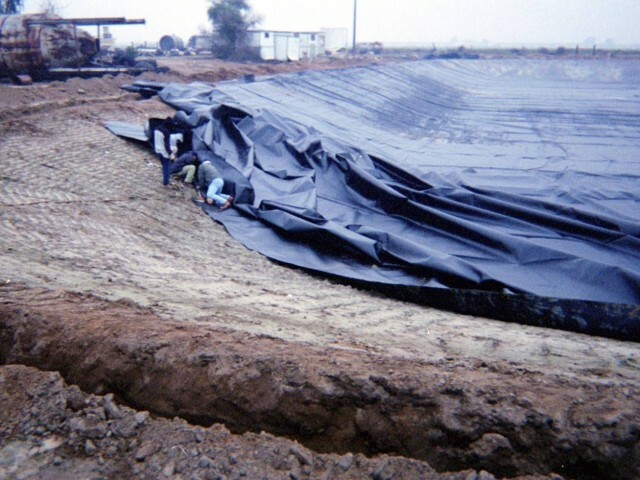 Synthetic containment liners are the most dependable way to maintain a leak-free pond for years. 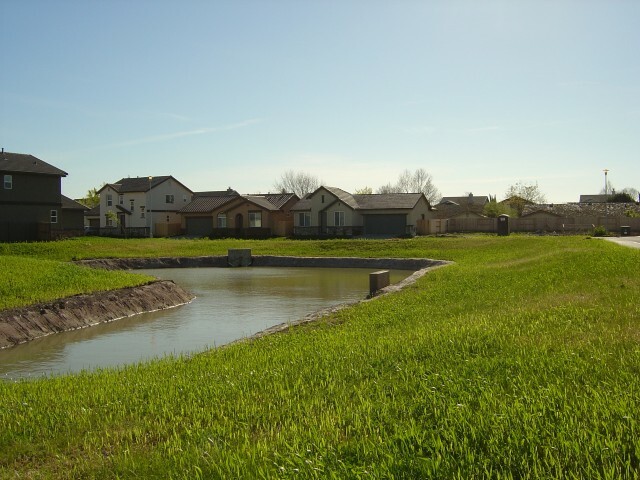 Natural clay makes an excellent pond liner, however it is subject to penetration by tree roots, gophers and moles. 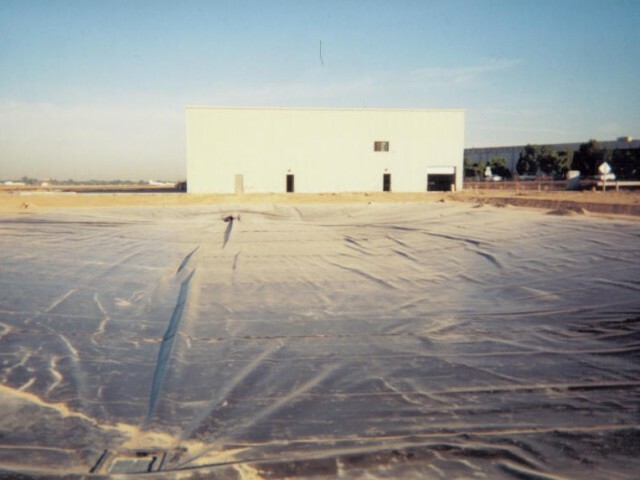 Clay is also difficult to install, and is often misapplied or under-compacted, causing problems that are exceedingly hard to locate and correct later on. 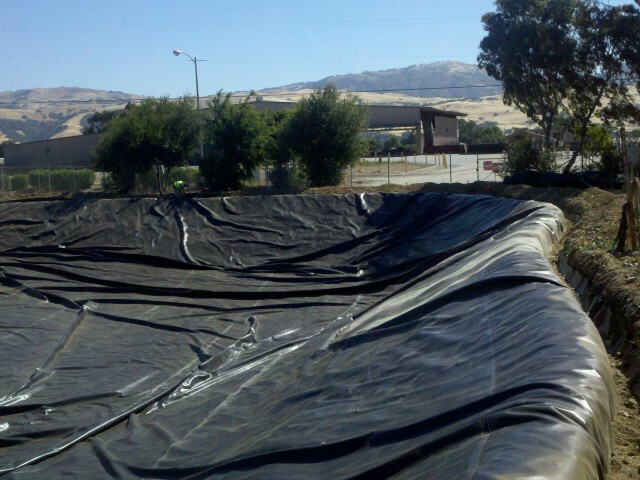 Synthetic liners are leak and maintenance-free once installed correctly. 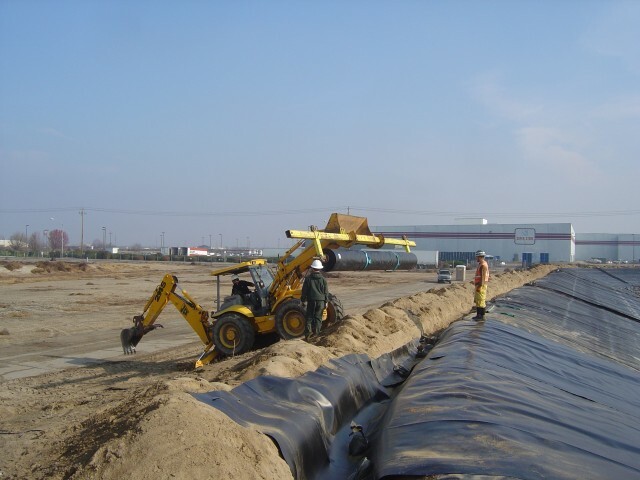 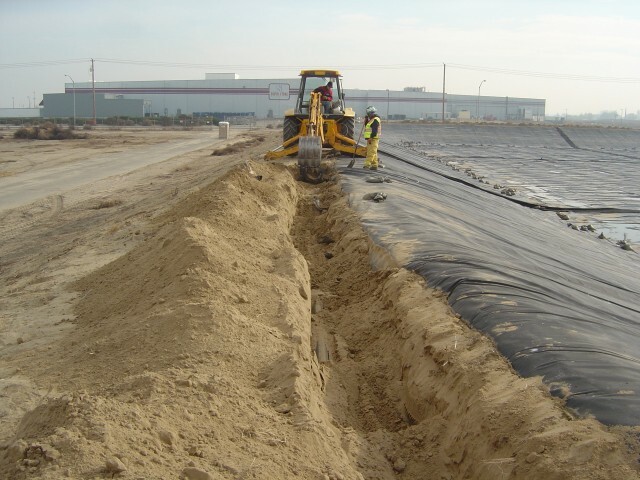 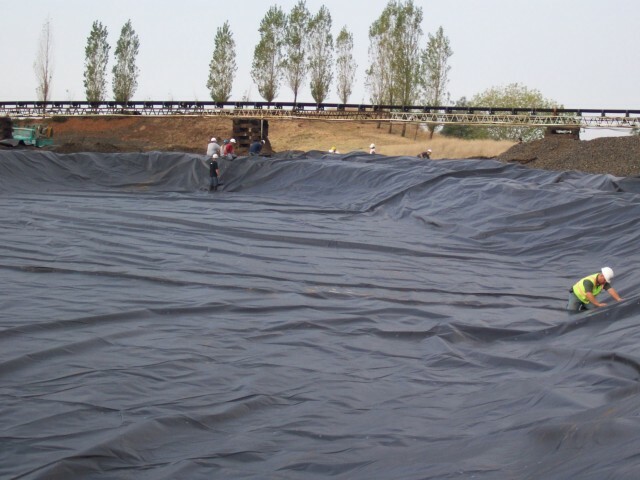 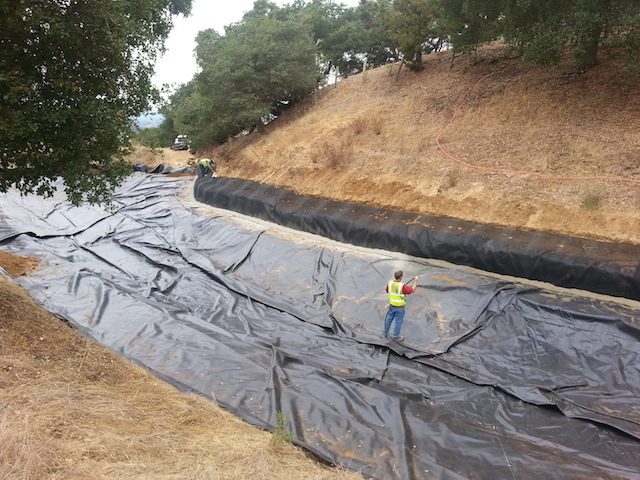 Thunder Mountain Enterprises, Inc. can provide and install many thicknesses and weights of synthetic liners depending on your needs and site conditions. 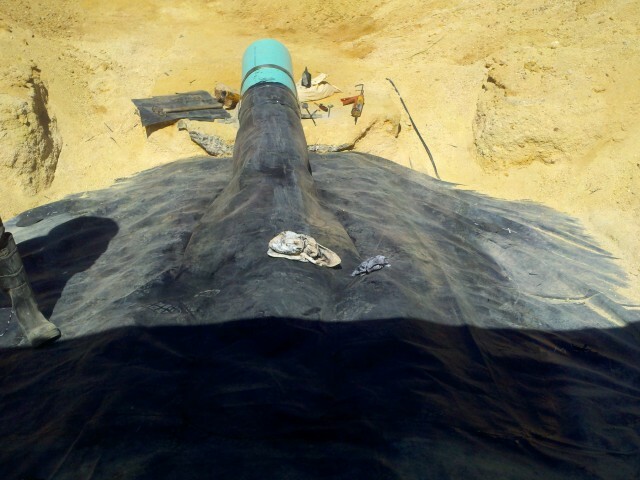 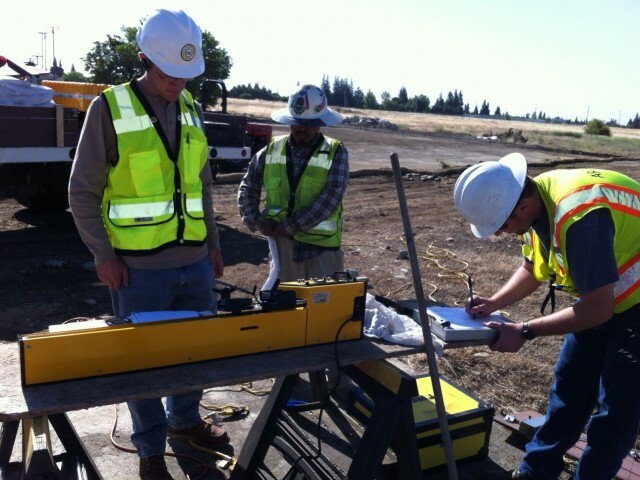 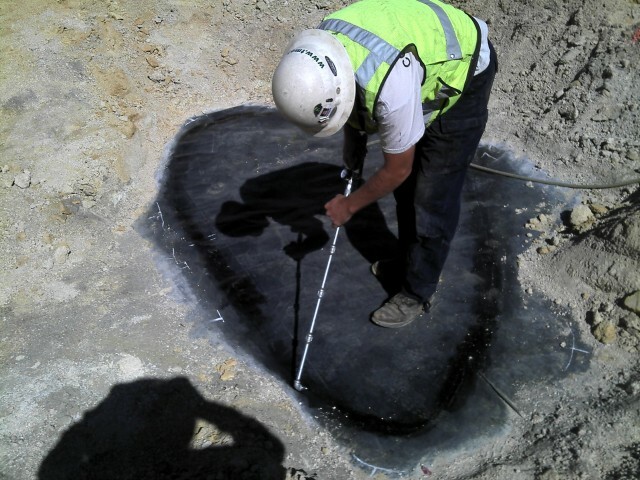 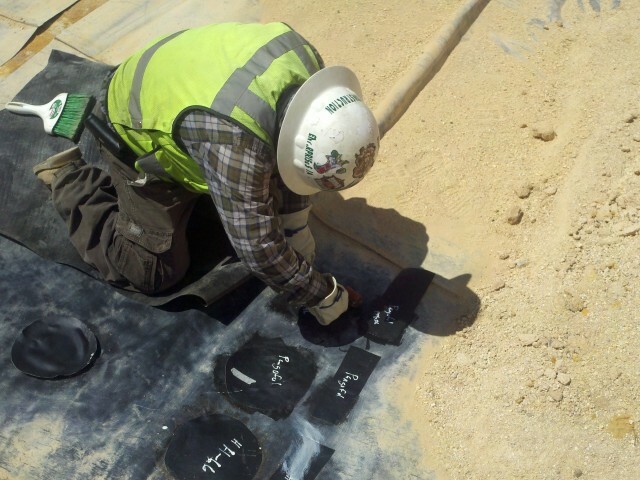 The best way to choose the proper liner is to consult with a TME professional at the job site and review samples and specifications of products that will work best. 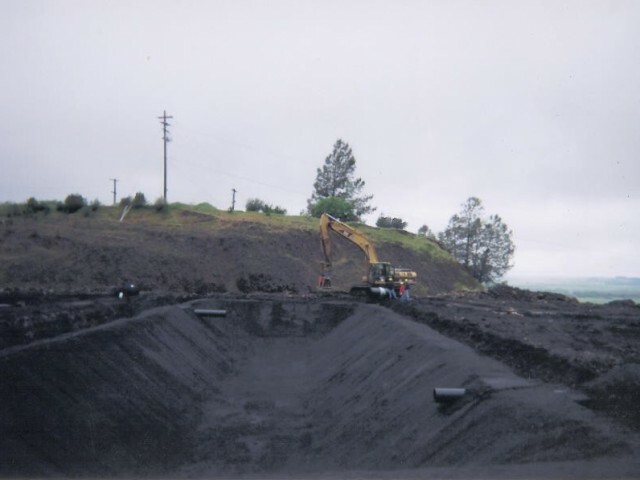 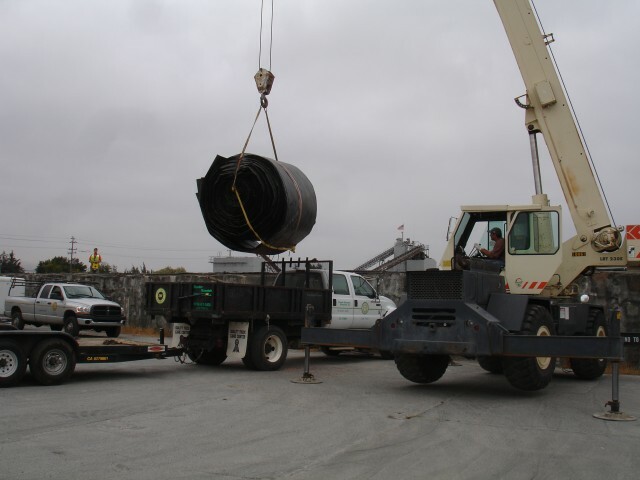 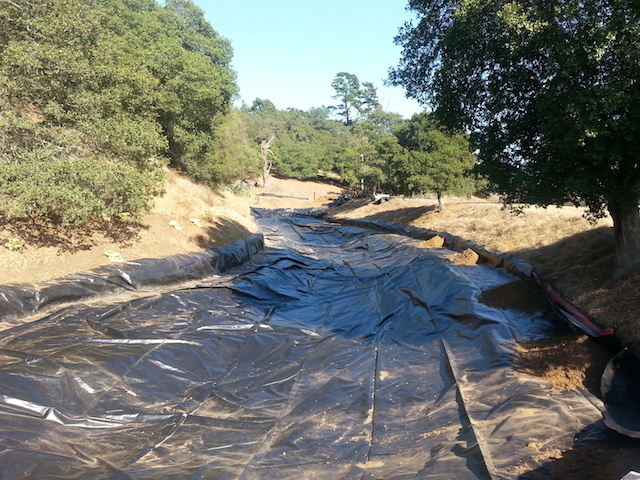 Generally, once a new pond is excavated or an existing pond is drained,Thunder Mountain can fabricate and install a custom liner on site in one day!